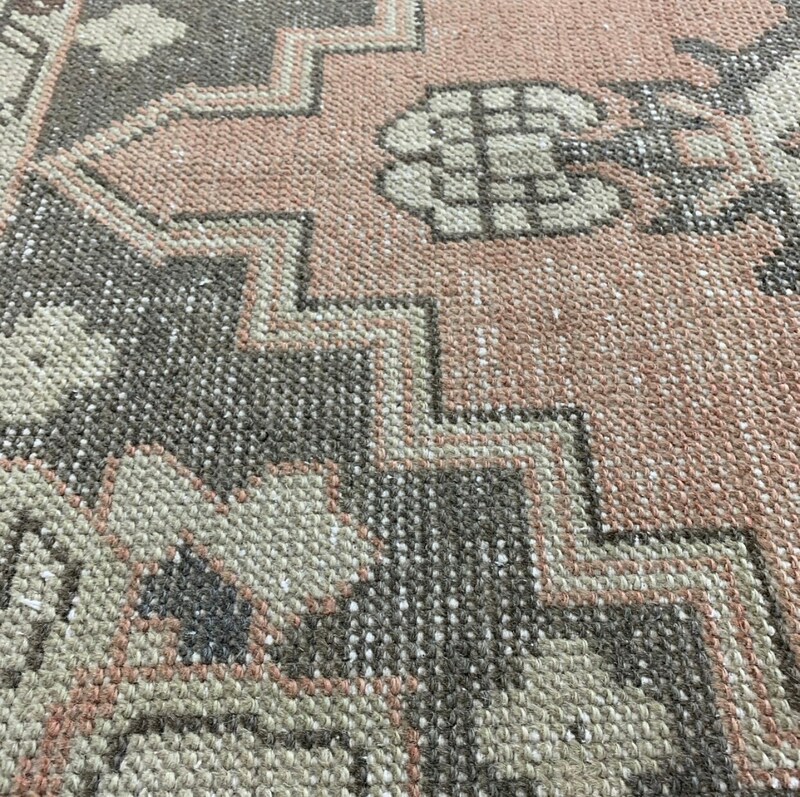 All the heart eyes for this vintage Turkish runner rug. 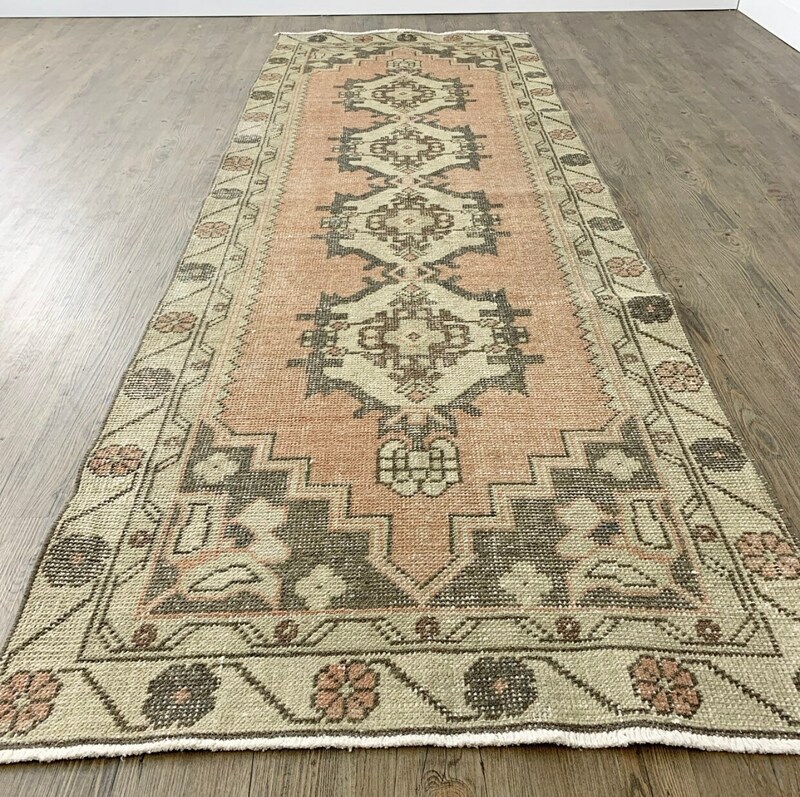 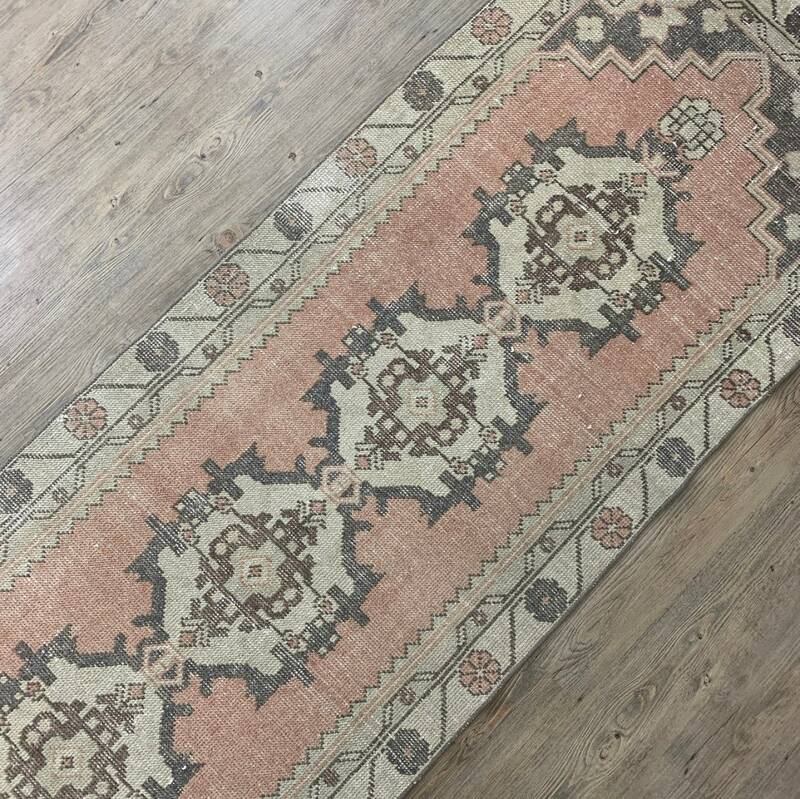 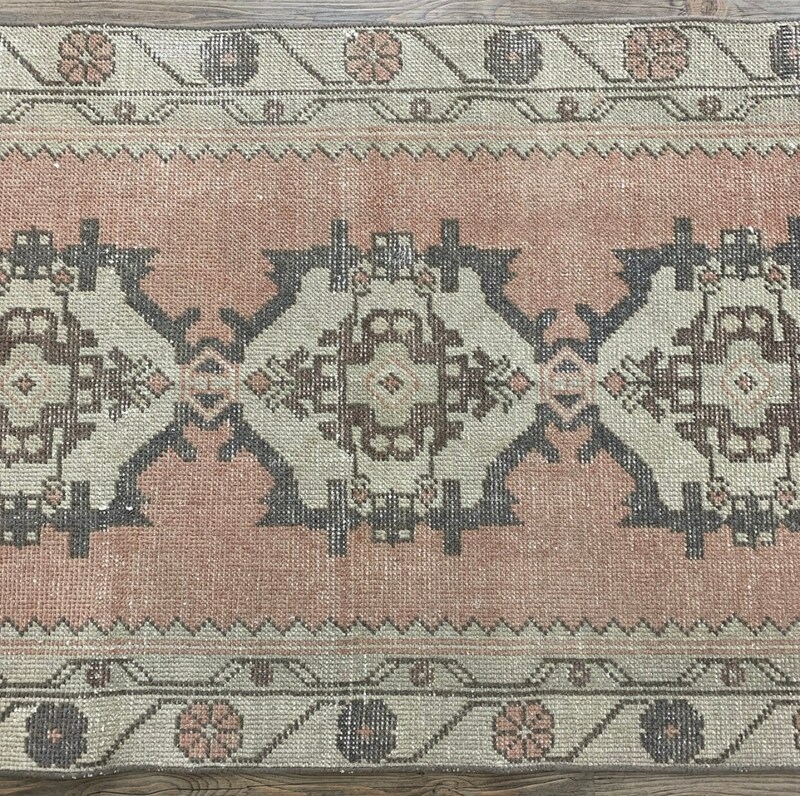 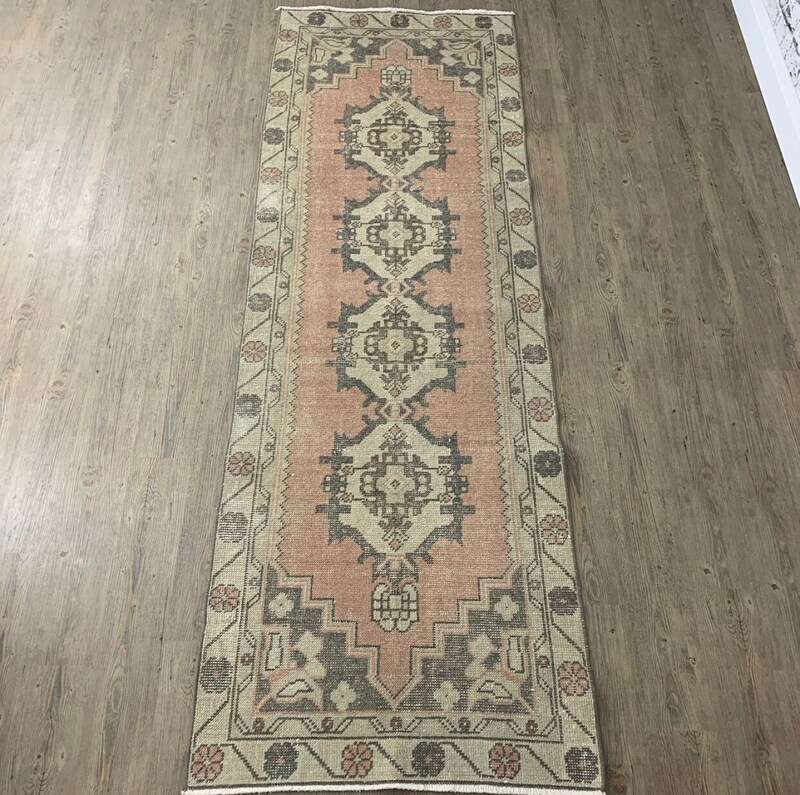 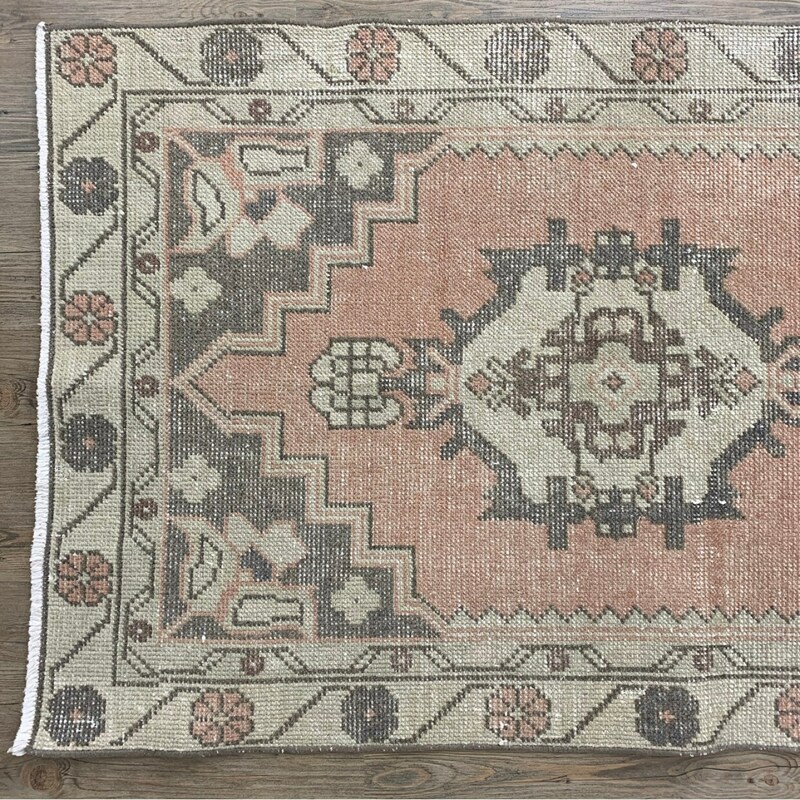 This rug was hand-knotted in Turkey in the 1940s with the perfect peachy-pink, clay gray, and beige, with subtle and muted blue and green highlights. 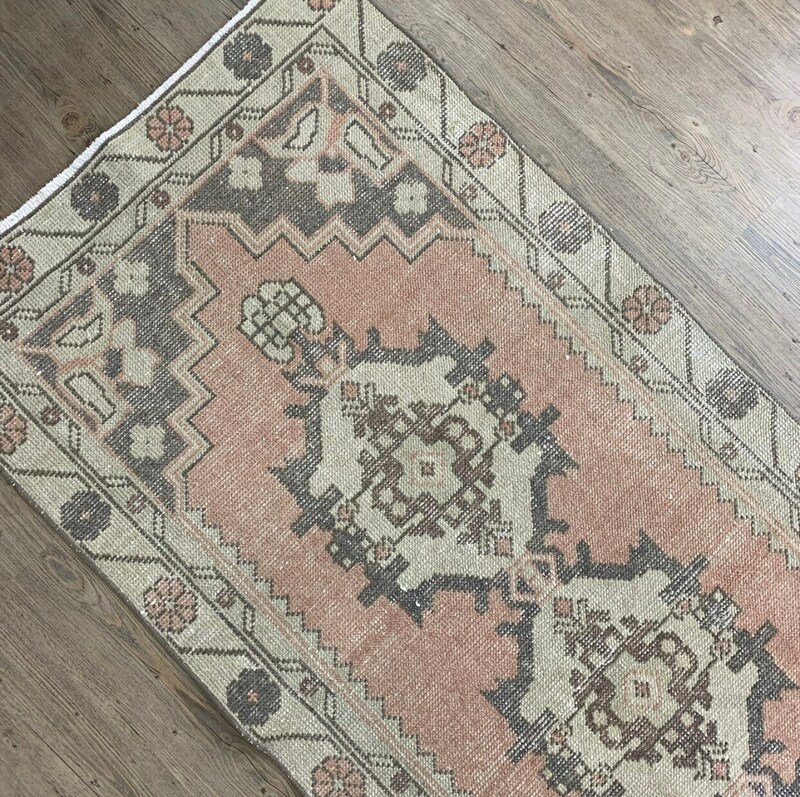 It’s in excellent vintage condition, is durable and made for everyday use - put it in the kitchen, a hallway or in front of a sideboard to add colour and a bit of history to your space!